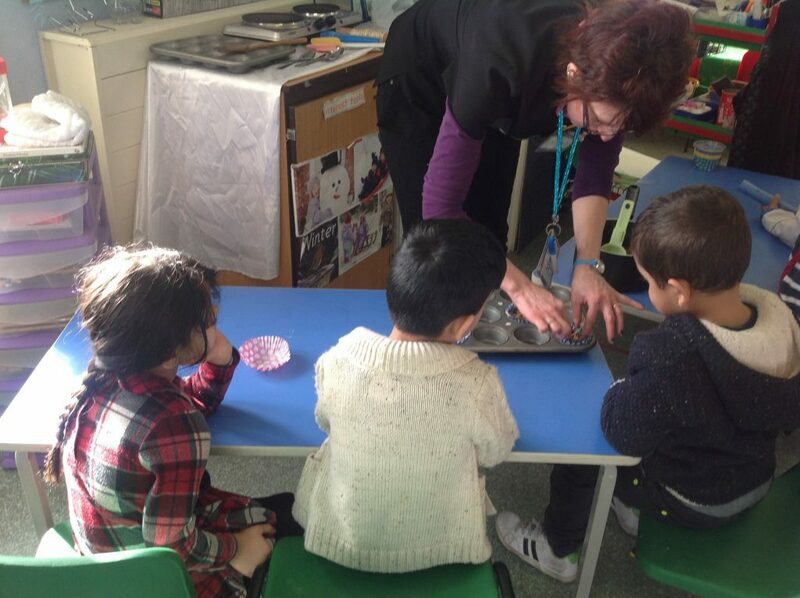 The children at our nursery have been helping to make lard ball bird feeders for the birds in our garden, they watched as the lard and bird food were mixed together before helping to put them into the bun trays to set. The children then helped put the bird feeders outside in the trees ready for the birds. The children have achieved many of their developmental targets by participating in this activity.